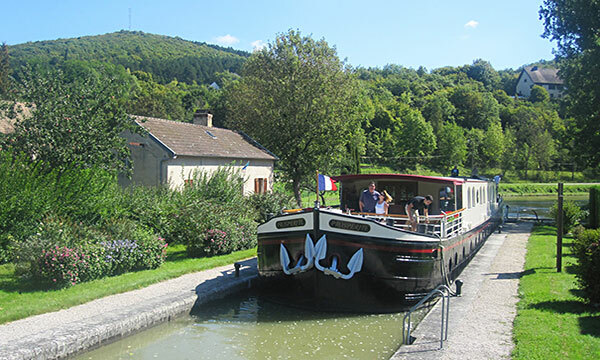 Setting the standard for 5-star canal cruising in France, the Prosperite offers every traditional luxury in ultra-deluxe barging, from capacious cabins to the most experienced and accommodating crew. Prosperite’s Barge Manager, Spencer Hayes, has been in the barge industry since 1993. He has established longstanding relationships in the Burgundy area, and is well connected to local sommeliers, working artisans, and prominent community members. In addition to managing and supervising the Prosperite, Spencer does the same for the 6-star, 8-passenger Grand Cru, and the 4-star, 6-passenger Rendez-Vous, both of which also cruise in Southern Burgundy. Owned by an American hotelier, Prosperite was designed to represent the best of modern living, relaxed socializing, and lively entertaining – indeed, a state of “prosperity” brought to life. Cabins provide generous havens of quiet comfort, perfect for travelers for whom abundant personal space is a necessary luxury. An open kitchen invites guests to join their personal Chef for impromptu cooking demonstrations, and the romantic countryside is best viewed while lounging on the expansive deck or in the hot tub. Miles of manicured towpath along the canal beckon for leisurely walks or exhilarating bicycle rides. Exploring Southern Burgundy’s great tradition of gastronomy, the gourmet cuisine focuses on regional specialties, paired, of course, with the splendid wines of the Cote D’or. Guests are further immersed into the Burgundian lifestyle through a vibrant program of intimate sightseeing encompassing the iconic sights of the region, including guided visits to working vineyards, lively markets, and charming villages. A personable and attentive crew add further to the many prosperous experiences enjoyed aboard the Prosperite. In the afternoon, you will be met by a crew member of the Prosperite at the designated meeting point. From here, relax as you are chauffeured to the Prosperite, moored in the village of Plombieres-les-Dijon. A traditional champagne welcome and introduction to the crew awaits you, before your first gourmet dinner onboard. The journey begins with a morning cruise. Laze on deck in the hot tub, or explore the countryside via bicycle. This afternoon, your Tour Guide accompanies you to Clos de Vougeot, where Cistercian monks made wine in the 12th century. Explore the preserved presses on which these iconic Burgundian vintages were made. Then it’s back to present day pleasures with a winetasting in the vineyards of the Cote de Nuits. Return to the Prosperite and relax with drinks and dinner onboard. This morning, the town of Dijon offers a pleasurable assault of the senses. 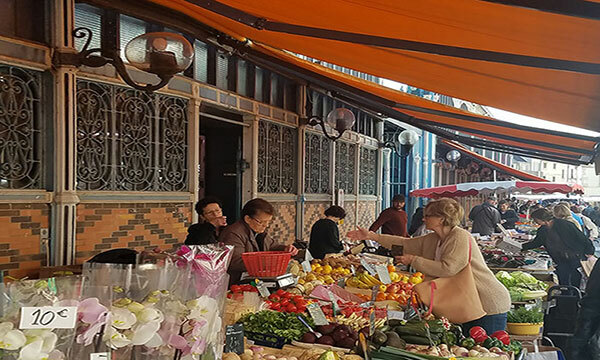 "Les Halles”, the region's food market, presents a panorama of colorful produce; mustard jars are cheerfully displayed in boutiques; and public gardens are vibrant with greenery and scenery. 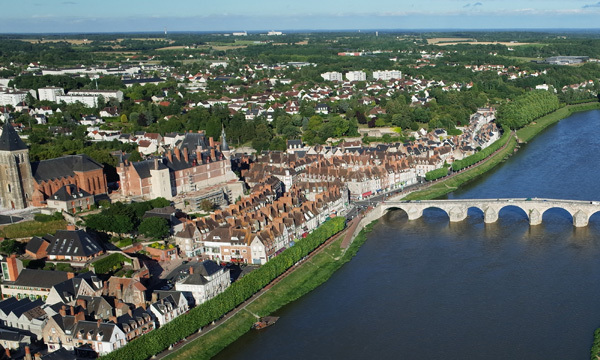 Shop, stroll, and sip your way through this small city brimming with authentic French life. Return to the barge for a lazy afternoon cruise. Explore the towpath with a sunset stroll or relaxing bicycle ride as Chef prepares tonight's dinner. Relax on the deck with a freshly brewed cup of coffee during today's morning cruise. This afternoon, your Tour Guide escorts you to Chateauneuf-en-Auxois, a village perched atop a hill overlooking the Canal. Chateauneuf's imposing position refers to its history as a 15th century fortress. A tour of the Chateau reveals architectural details and timeworn relics which speak to the deprivations and decadence so prevalent in France’s history. Tonight, enjoy a gourmet dinner ashore at the Abbey de la Bussiere's award-winning gastronomic restaurant. Begin the day with a morning cruise. Laze on deck with a freshly brewed cup of coffee, or explore the towpath with a leisurely stroll or brisk bicycle ride. In the afternoon, a drive through the Cote d’Or vineyards culminates in the charming town of Beaune, the region's wine capital. Visit the Hospice de Beaune, an immaculately preserved Medieval hospital built in the 15th century, then explore the pedestrian area's local boutiques and lively cafes. Return to the Prosperite where Chef is putting the finishing touches on tonight's delicious dinner. Experience your final cruise this morning with a cup of coffee on deck while soaking in the ambiance of the tranquil countryside. This afternoon, your Tour Guide accompanies you to the prestigious vineyards of the Chateau de Chassagne Montrachet for a private tasting of their boutique wines. The Picard family, who owns the domaine since 1951, will open the doors to its cellars, which date back to the XI and XV centuries. Return to the Prosperite for cocktail hour, and then finish your cruise in style at the Captain's Dinner. This morning the Prosperite begins her journey with a lazy morning cruise. Relax on the deck and admire the beautiful Burgundian scenery. This afternoon's excursion is to the private cellars of the family owned Domaine Prieur-Brunet for a tour and tasting. This venue can trace its history back to 1804 when all the land in the region was confiscated from the church and sold to private interests. Swirl, sip, and savor the wines, known for their bold aromas and smooth finishes. Return to the Prosperite for cocktails and dinner. Today's morning cruise reveals more of the idyllic Burgundian countryside. After lunch, the golfers will be chauffeured to Golf de Beaune Levernois, where numerous water hazards keep the 18 hole course challenging. The non-golfers will be accompanied to the charming town of Beaune, for a guided visit to the Hospice de Beaune, an immaculately preserved Medieval hospital built in the 15th century. Afterwards, browse the specialty shops and boutiques, or enjoy a coffee in the lively town square. Everyone returns to Prosperite for cocktails and dinner. Explore the towpath with a gentle pedal or leisurely stroll during this morning's cruise. This afternoon, your Tour Guide escorts you to Chateauneuf-en-Auxois, a village perched atop a hill overlooking the Canal. Chateauneuf's imposing position refers to its history as a 15th century fortress. A tour of the Chateau reveals architectural details and timeworn relics which speak to the deprivations and decadence so prevalent in France’s history. Tonight, enjoy dinner ashore at the Abbey de la Bussiere's award-winning bistro. A morning cruise offers the perfect time to explore the towpath by bicycle or on foot. After lunch, the golfers will be taken to Chateau de Chailly, an 18 hole parkland course with raised greens and a restored Medieval chateau as scenic backdrop. The Tour Guide will accompany the non-golfers to Clos de Vougeot where Cistercian monks made wine in the 12th century. Discover the preserved presses from which these ancient wines were first produced, and then enjoy a winetasting. Everyone relives the day back at Prosperite for another gourmet dinner. The town of Dijon offers a pleasurable assault of the senses. "Les Halles", the region's food market, presents a panorama of colorful produce; mustard jars are cheerfully displayed in boutiques; and public gardens are vibrant with greenery. 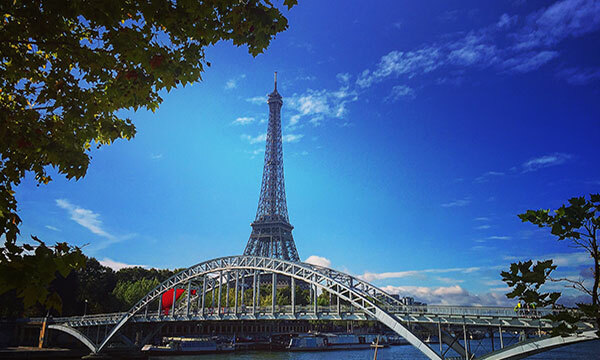 Shop, stroll, and sip your way through this small city brimming with authentic French life. 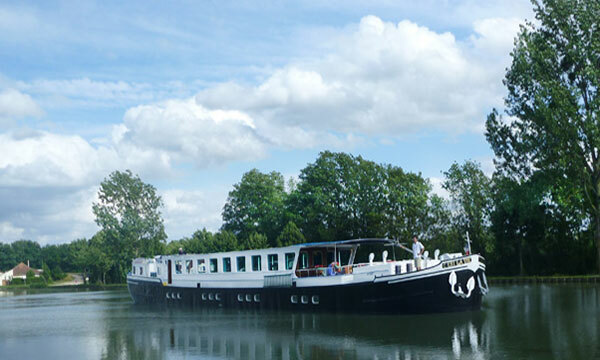 After lunch, golfers will be escorted to the 18 hole Norges Dijon Bourgogne Country Club, while non-golfers relax during a cruise to the final mooring. The Captain’s Dinner culminates the cruise in style. In the afternoon, you will be met by a crew member of the Prosperite at the designated meeting point. From here, relax as you are chauffeured to the Prosperite, moored in the village of Plombieres-les-Dijon. A traditional champagne (or soda!) welcome and introduction to the crew awaits you, before your first gourmet dinner onboard. Why not end the day with a dip in the hot tub? Go Carting or Ziplining for Family Adventure! Depart this morning for your first cruise through the tranquil countryside. Explore the towpath's flora and fauna with a gentle pedal or leisurely stroll. For more adventurous family members, an afternoon at your pre-arranged ziplining adventure awaits, or, perhaps a spontaneous afternoon of go-karting sounds exciting. 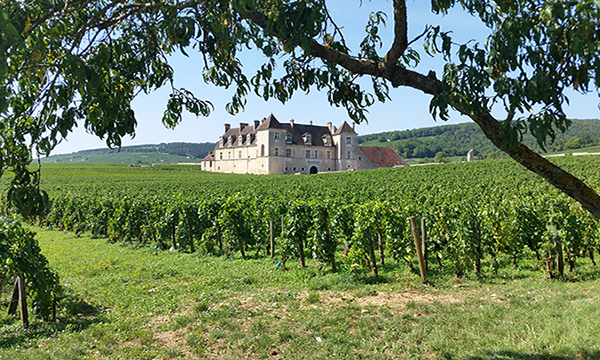 Those who wish to discover the world of Burgundy's iconic grapes will enjoy a guided tour of Clos de Vougeout, where Cistercian monks first made wine in the 12th century. Back onboard, the family reunites for a delicious dinner. This morning, the town of Dijon offers a pleasurable assault of the senses. "Les Halles”, the region's food market, presents a panorama of colorful produce; mustard jars are cheerfully displayed in boutiques; and public gardens are vibrant with greenery and scenery. Sip, shop, and stroll in this small city brimming with authentic French life. Your Tour Guide returns you to the barge for an afternoon cruise. Perhaps the smallest passengers would like to visit the Captain's wheelhouse and help steer the boat! Tonight, Chef serves a wonderful dinner. Relax on deck during a morning cruise and admire the scenery gently slipping by. This afternoon, your Tour Guide escorts you to Chateauneuf-en-Auxois, a village perched atop a hill overlooking the Canal. Chateauneuf's imposing position refers to its history as a 15th century fortress. A tour of the Chateau reveals architectural details and timeworn relics which speak to the deprivations and decadence so prevalent in France’s history. Tonight, savor a multi-course dinner ashore at the Abbey de la Bussiere's award-winning gastronomic restaurant. A morning cruise reveals more of the beautiful Burgundian countryside. Laze on the hot tub, join Chef in the open kitchen, or explore the towpath by bicycle or on foot. This afternoon, your Tour Guide chauffeurs you to the charming town of Beaune, the region's wine capital, for a guided visit to the Hospice de Beaune, an immaculately preserved Medieval hospital built in the 15th century. Afterwards, browse the specialty shops and small boutiques, or enjoy a coffee in the town square. Return to the Prosperite for an evening of cocktails and dinner. Fighter Jets Lined Up in a Vineyard! 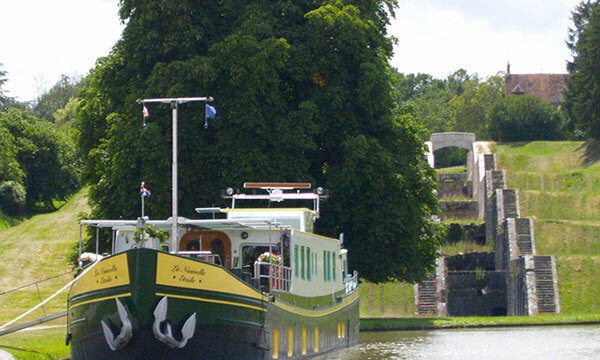 Your final cruise takes Prosperite deeper into the Ouche Valley. Socialize in the salon with a cup of freshly brewed coffee, or join Chef in his open kitchen for an informal cooking demonstration. This afternoon, visit the eccentric and exciting Chateau of Savigny-le-Beaune, where the owner has spent a lifetime amassing incredible private collections of fighter jets, race cars, and thousands of model airplanes. An unexpected local treasure in rural France! Return to Prosperite for the Captain’s Dinner, ending your family cruise in style.